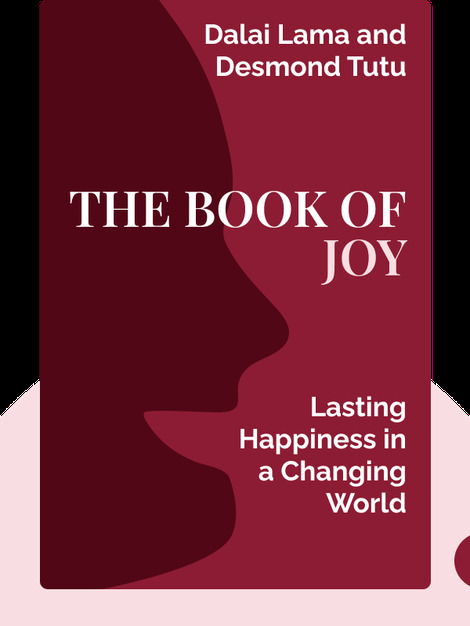 The Book of Joy (2016) is an insightful guide to living a life free of sadness, stress and suffering. 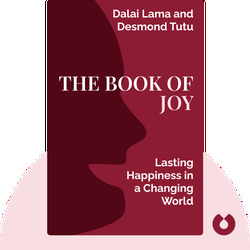 These blinks are full of actionable ways to cultivate joy for yourself and others while overcoming the obstacles that so often prevent people from finding happiness on earth. His Holiness, the Dalai Lama is a Nobel Peace Prize recipient and the spiritual leader of the Tibetan people. His teachings advocate compassion and Buddhism, and he’s written several books about them. Archbishop Emeritus of South Africa, Desmond Tutu is also a Nobel Peace Prize recipient and a civil rights activist for racial reconciliation. He was a famous opponent of apartheid in South Africa and is the author of a number of books, including The Book of Forgiving.